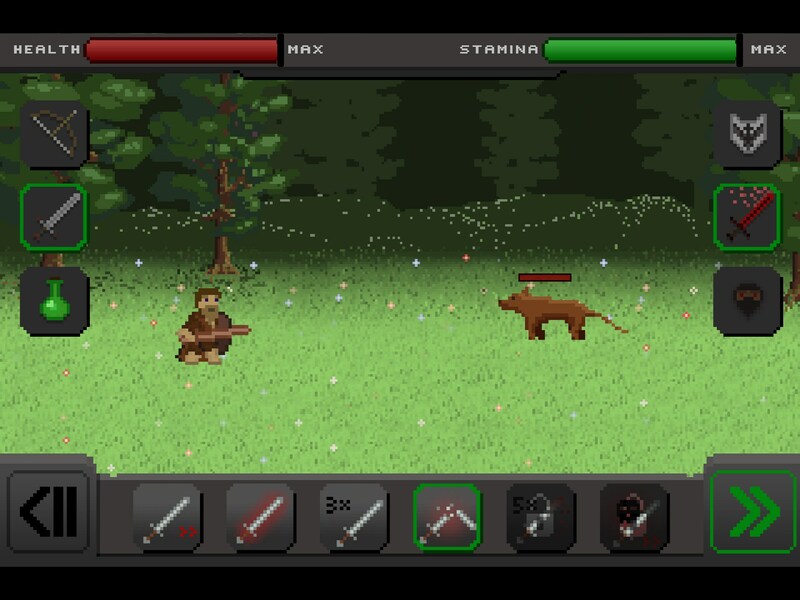 Hunter Legacy – Games for Android 2018 – Free download. 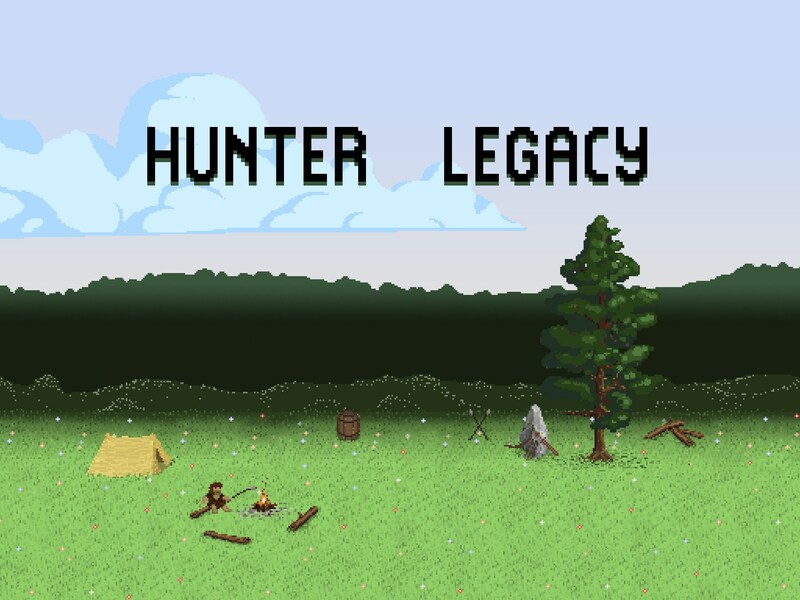 Hunter Legacy – Survive in the wilderness. 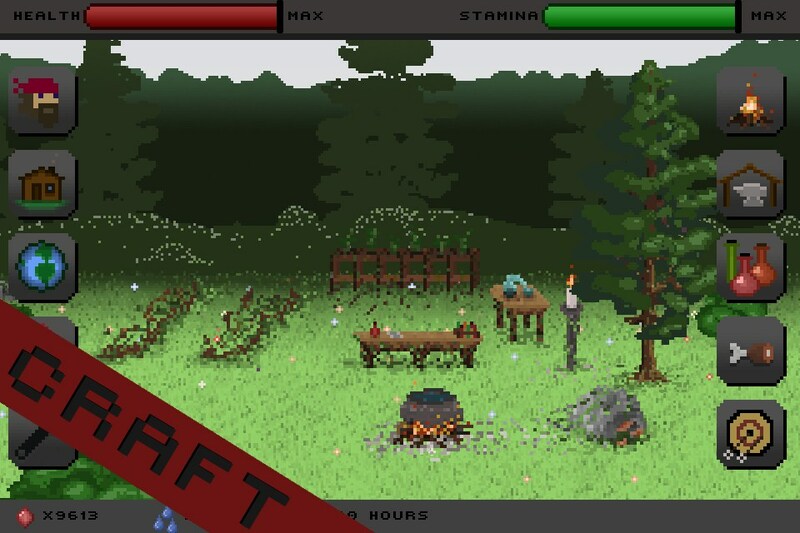 Hunter Legacy is a game all about survival. 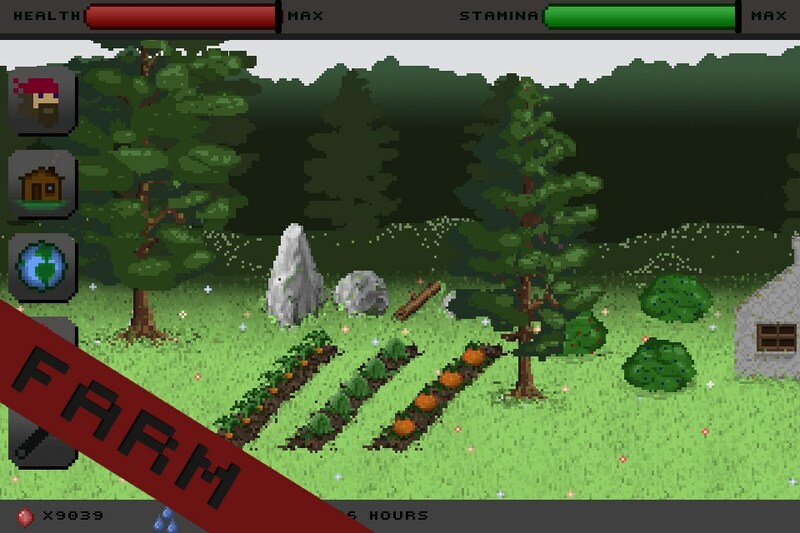 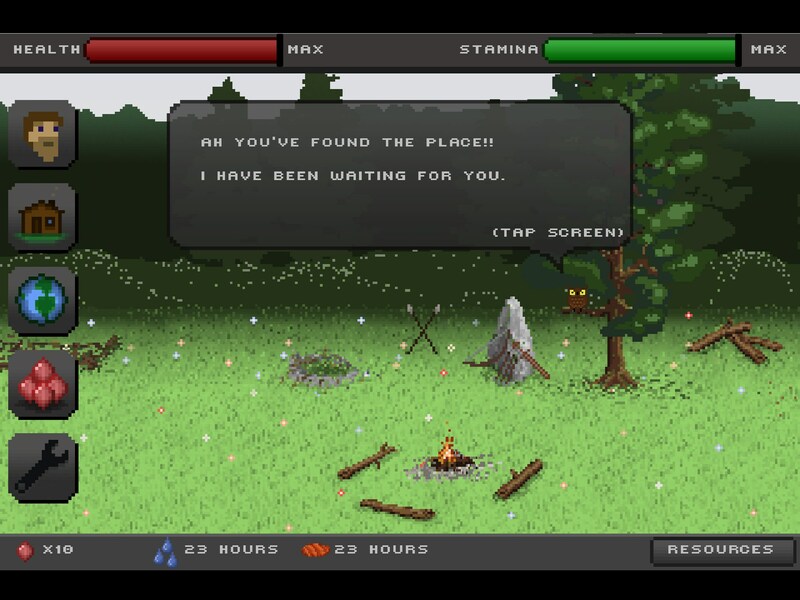 The player finds himself struggling against hunger, thirst and nature herself while attempting to survive in the wilderness. 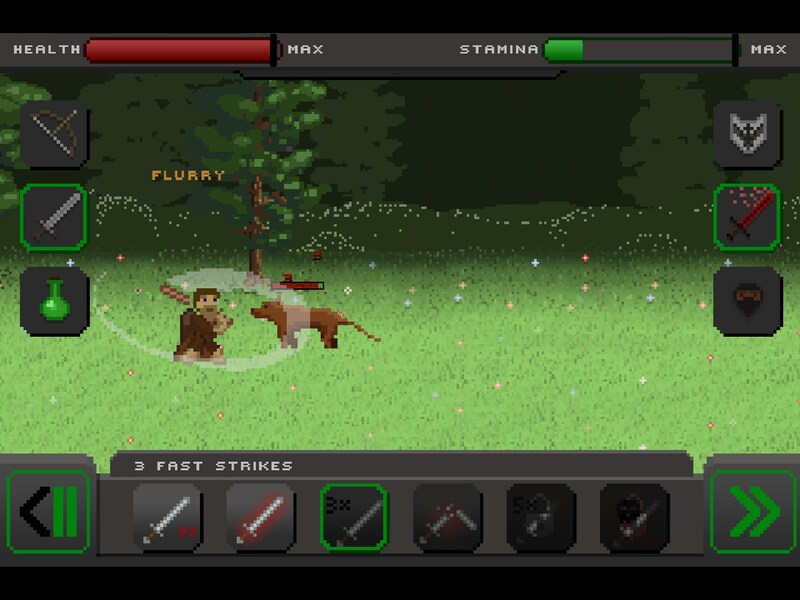 Initially armed with little more than a bow and a sword the player is left to fend for himself. 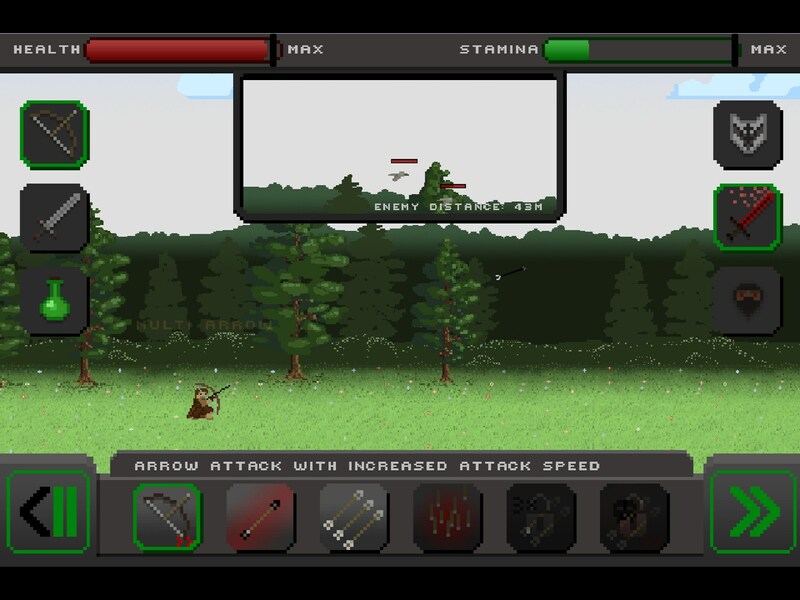 The tutorial will do a great job at explaining how combat works as it involves complex mechanics. 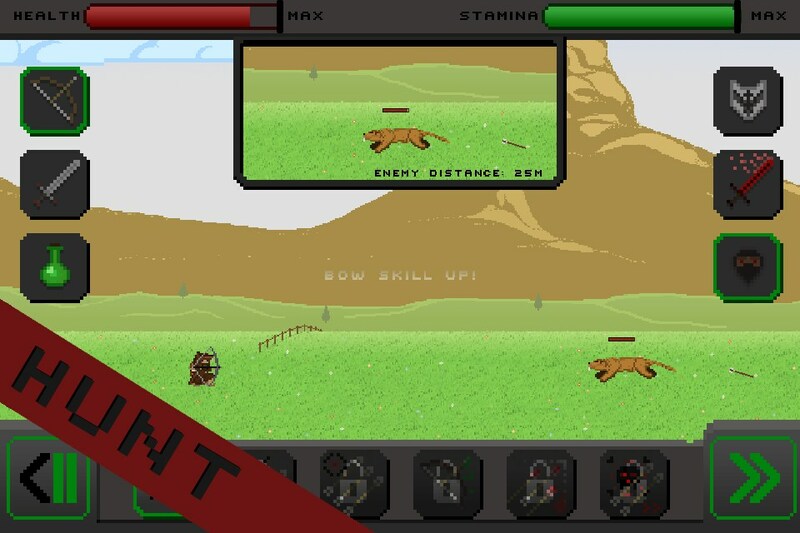 The player must rely heavily on a several stances and must expertly switch weapons, giving up archery in favor of close quarters when the need arises. 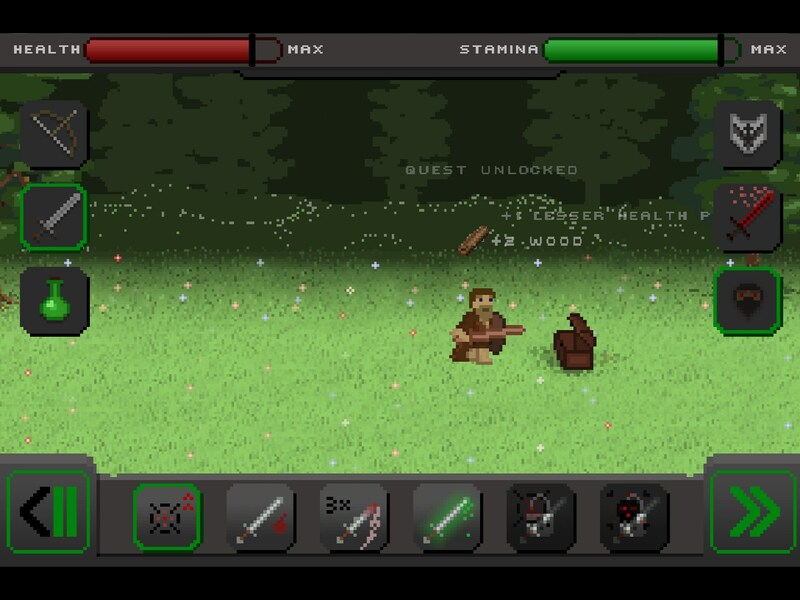 After a tiring adventure that involves hunting, fighting off goblins or collecting resources ends the player must focus on putting everything gained to good use. 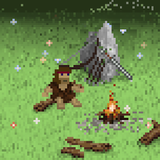 The player’s campsite will grow and must be gradually maintained to ensure that the protagonist does not starve to death and to ensure that the player’s equipment keeps up with the ever growing challenges that must be faced. 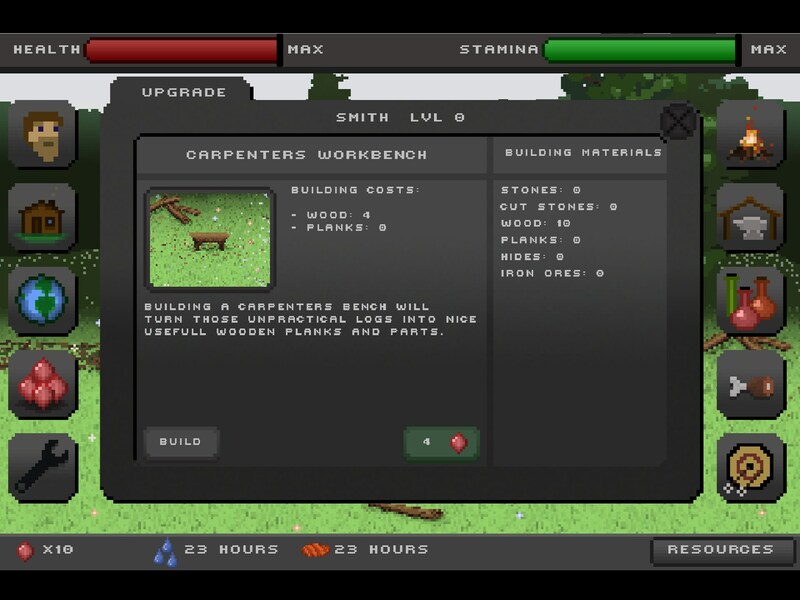 Alchemy, leatherworking and carpentry each play a role in developing better gear for the player. Overall Hunter Legacy for Android is one of the most interesting and entertaining survival games. 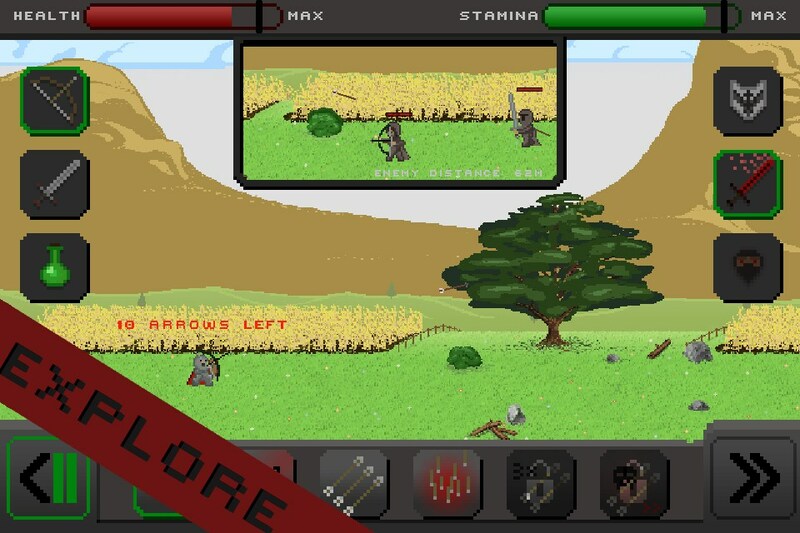 By employing a permanent death system the game creates an added challenge for the player; fear not though as dying will only trigger the creation of a new character that will inherit the land and resources gathered. 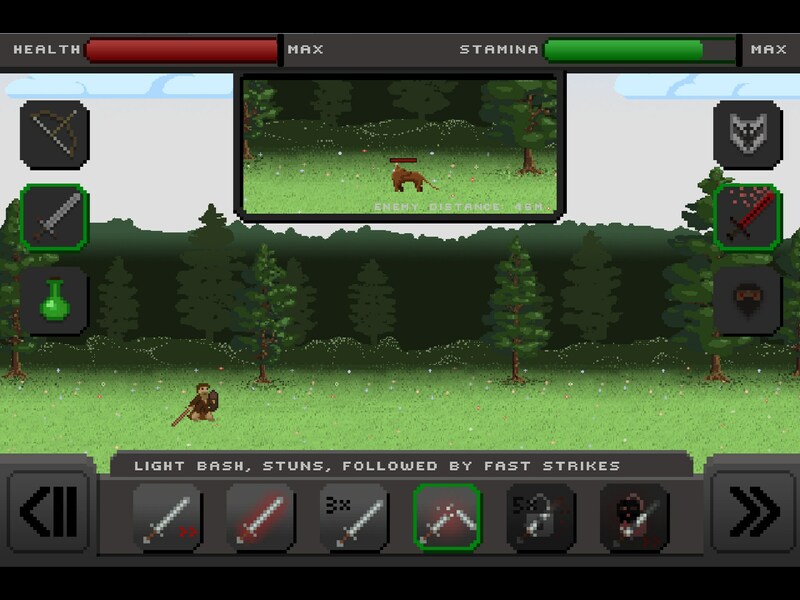 The only deterrent many will find with the game is the excruciatingly poor graphic system. 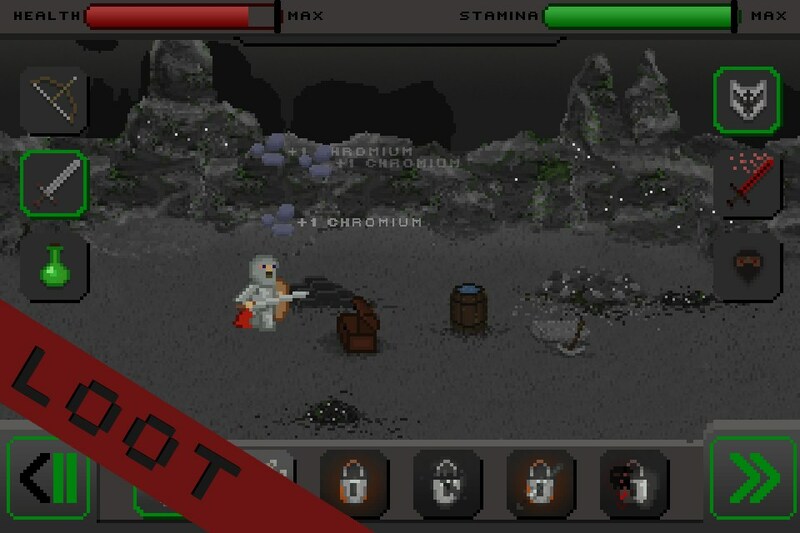 The pixelated environment and characters are a huge downside and do not do the game justice.